A big thank you to my dear departed friend Audrey Kaiser of Bengalscape Bengals in Wisconsin. Audrey was so enthusiastic about adding her bloodlines to my breeding program. 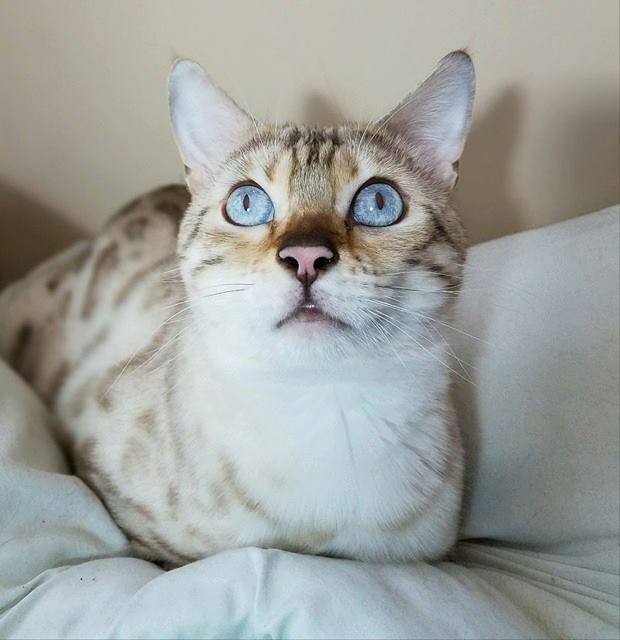 With specific goals in mind for our seal lynx point Bengals and silver seal lynx point Bengals, this little girl was the perfect fit. Estonia has a great personality and is always a lot of fun. 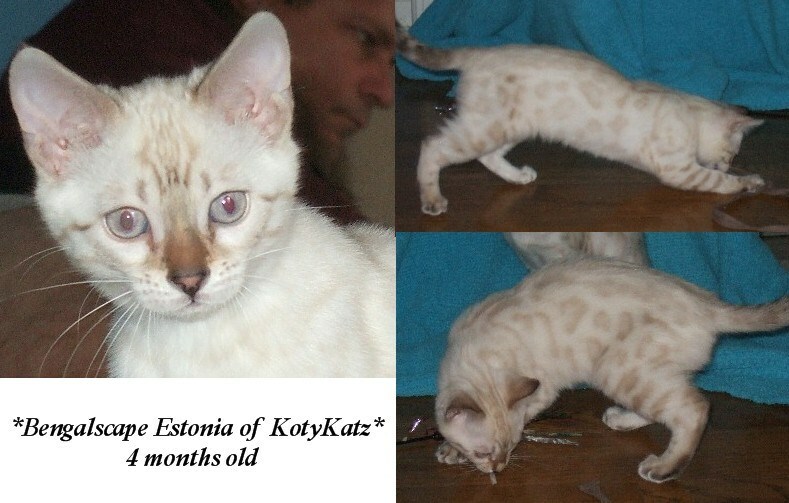 She has passed on her beautiful looks and personality to her silver daughter KotyKatz Blackstar. If you’d like to see Estonia’s pedigree, please click here. If you would like to see our available kittens or if you have any questions please feel free to contact me. You can also join our mailing list! 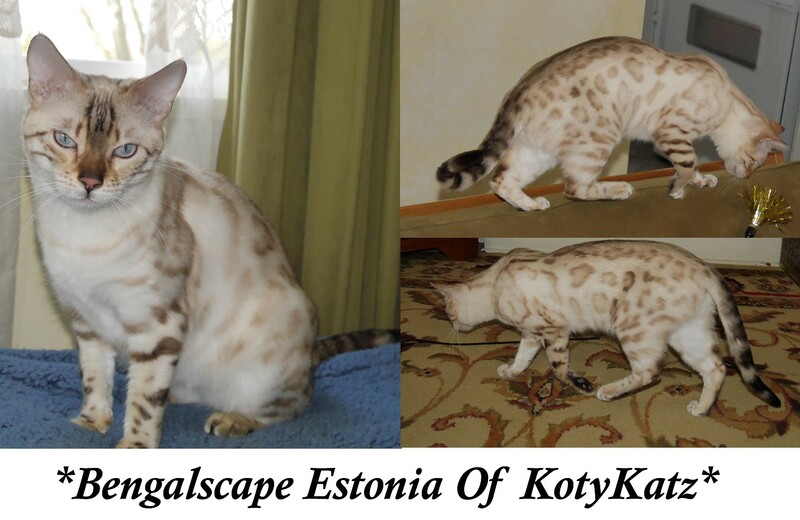 This entry was posted in Gallery, Reference Queens and tagged Bengal, Bengals queen, Bengalscape, seal lynx bengal, silver seal lynx bengals, snow bengals. Bookmark the permalink.